More than 130 people applied for grant for a new international summer school in science communication. Coordinated by University of Malta, the STEAM summer school is a joint effort of six European institutions aimed at training the next generation of science communicators creatively. Applicants have been selected and 34 grants will be offered to students, young researchers, and educators formally linked to one of the partner institutions. Funded by Erasmus+, STEAM is much more than a summer school. It is a three-year project working towards developing ambassadors that spread their newly learnt knowledge in their home country. Three summer schools are planned: the first takes place in Cleves (Germany) this summer; the team flies to Greece in 2017, and meets in Malta in 2018. During the rest of the year these ambassadors will practice what they learnt to inspire the next generation. The team brings together a unique mix of science communicators from all over Europe. STEAM has four major educational institutions (Haaga-Helia University, Rhine-Waal University, University of Edinburgh, and University of Malta) involved, the largest network of science journalists (EUSJA), and a science communication company (Science View). Collectively they run undergraduate and postgraduate courses in the field, they publish or present on major media networks worldwide, they are science and art enablers, national festival and event organisers, publishing and blogging experts, and more. The unexpected large interest and participation shown by the community is a remarkable start for the project. “We are overwhelmed by the interest shown in our school and science communication. To try and include as many participants as possible we are adopting a social enterprise model opening the school up to paid applications. We will reinvest every single penny back into the school” says Dr Edward Duca, STEAM project manager. Already selected participants with their mix of experience in creative and scientific activities are one of the key ingredients for a promising outcome. 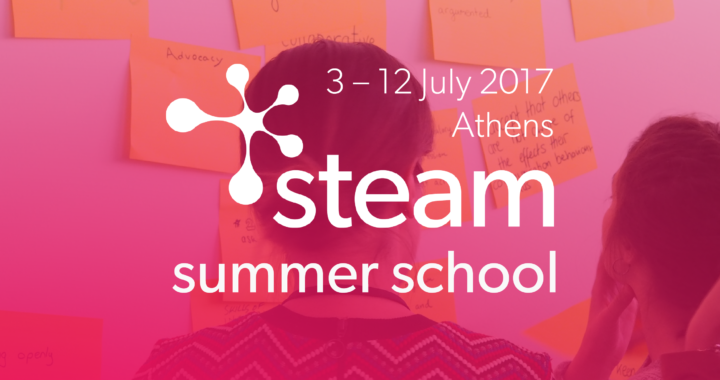 STEAM summer school is an occasion to deepen the language between arts and sciences.